The Harry S. Frazier, Jr. Scout Reservation is the home of Camp Crooked Creek, Camp Lowe, Camp Koch, Cub World, and Connelly Leadership Development Center. The reservation was opened in 1988 at an initial cost in excess of five million dollars. The 1,100 acre property replaced Camp Covered Bridge, located in western Oldham County, Kentucky on Harrods Creek, which had a history spanning back to the early times of Scouting. The Harry S. Frazier, Jr. 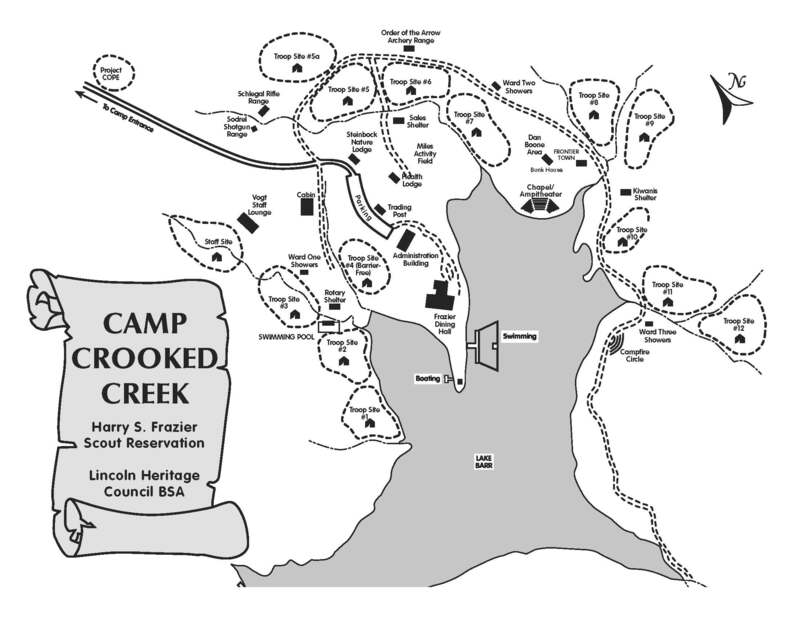 Scout Reservation hosts a variety of facilities, including Camp Crooked Creek and a seventy acre lake along with over ten miles of hiking trails. The reservation also contains various areas to accommodate groups year-round. 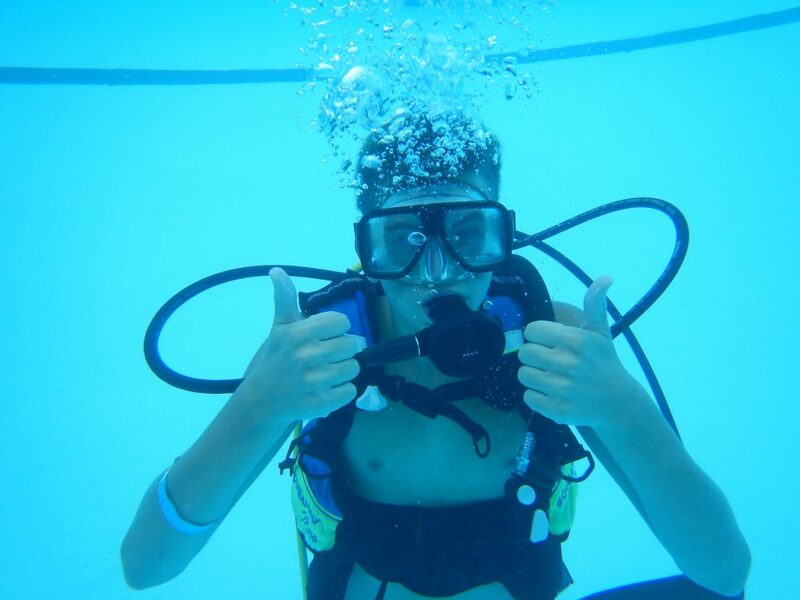 Discover SCUBA will be offered twice each week at camp! This opportunity will allow scouts to experience the world and fascination of SCUBA in the controlled elements of our pool. Spots are limited, so sign up soon! 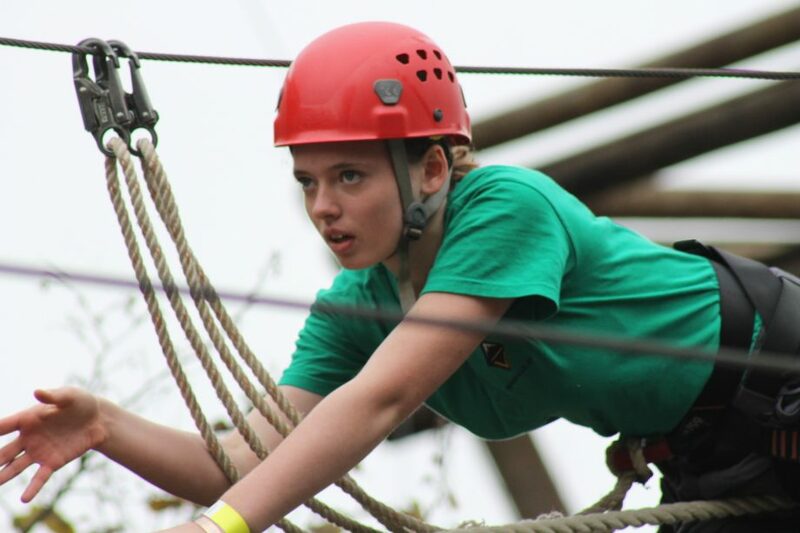 Frontier Town is an action packed program area, fun for scouts of all ages. 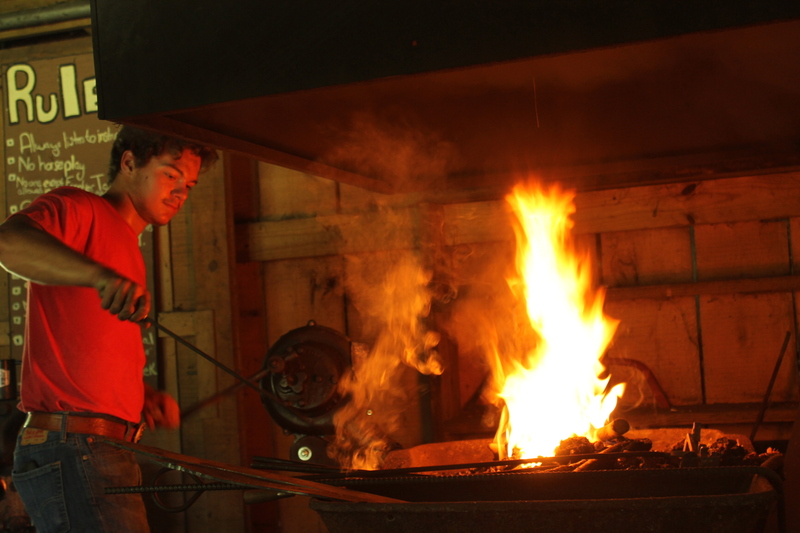 With a working forge where scouts can brand their Camp Crooked Creek mugs, the environment of Frontier Town fosters team building, exciting challenges, and rank advancements wrapped up in an action packed program! Mudding, sweat, and back terrain travels make Camp Crooked Creek the perfect place for scouts to experience the Scouts BSA ATV program. 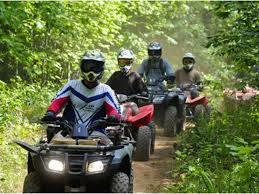 Participants must bring ankle covering boots, a long sleeve shirt, and jeans in order to ride. Our ATV course is a dedicated space on the reservation where scouts learn to safely operative ATV’s while exploring a part of camp few get to experience! Spots are limited, so act soon! Scouts have the opportunity for a lake adventure out on John Barr Lake! Scouts must have closed toed shoes suitable for getting wet. 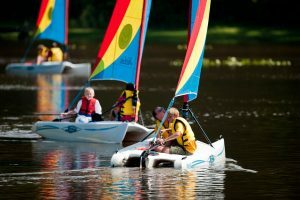 From sailing adventures across our 90-acre lake to canoeing, kayaking, and motor boating; Scouts can explore the open waters and see camp from a perspective that will take their breath away! Some may even by lucky enough to spot an Eagle’s nest along the bank! Click here to reserve a facility through our Tentaroo system. All LHC Units have a login, please contact Coucil for your login info, or for any questions.